Brittany Stoker, CCMO of proofreading service TotalEdit.com, recently released five characteristics of an ideal college admissions essay on the TotalEdit.com blog. Every high school student with aspirations of getting into college must complete an admissions essay for every college to which he or she applies. Although there is no real key that guarantees success, if an admissions essay is concise, honest, individual, coherent, and accurate, it will have more of a chance of gaining a student entry into the college of their choice. First, your admissions essay must be concise. The hard truth is that committee members will likely not spend a lot of time reading and poring over a student’s admissions essay. It is likely that they have dozens or hundreds of essays that they are reading through in a day and may have busy days themselves on top of their work with admissions. Students should take a more journalistic approach to their writing when they are outlining and building out their admissions essay. Shorter sentences with more powerful words will come across much stronger and will be more efficient and effective. Generally, students should avoid an essay over 700 words, keeping it closer to 300 to 400 words. 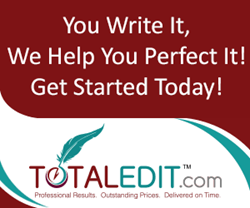 Working with a proofreading service to cut an essay down if it is too long is recommended, as professionals will know better what to take out and what higher education organizations are going to be looking for in prospective students. Second, an excellent college admissions essay must be honest. For example, if a student feels that he or she has had unique life experiences that might help them get into their college of choice, he or she should write about these experiences and bring to life these opportunities to make a difference in college. However, it is crucial that students avoid exaggeration or hyperbolic statements that are not true. This is a negative reflection on the student and can only hurt that student’s chances of admission. It is also important to take note that college admission committees may do further research on students whom they are seriously considering. If a student makes outrageous claims on their admissions essay, they should also be prepared to back up their claims in the event that committee members care to do a little digging. Third, students should make sure that their admissions essays are individual. A college admissions essay is an incredible opportunity for students to do something that they might not have the opportunity to do again—highlighting to an organization what their strengths are, how they will benefit the organization and the community at large. In addition to making their essays individualized to them as a person, students should make sure that the essay reflects how their own individual qualities can positively affect the organization. “Basically, if you have done everything else right,” Stoker mentions. “Your college admissions essay is what will get you the best chance of getting into college. She mentions that “everything else” includes taking advanced placement courses and concurrent enrollment in high school, as well as playing a proactive role in clubs and organizations, and seeking leadership opportunities whenever possible.